As most of our readers know, the various Ban the Box laws have a similar purpose but implement it in slightly different ways. The basic point is to require employers to delay asking about criminal history or performing a criminal background check on applicants so that people with criminal records are not prematurely excluded from consideration for jobs for which they may be qualified. 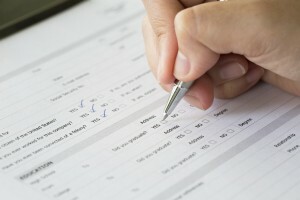 The term ‘Ban the Box’ refers to the question commonly seen on job applications in which applicants must check “yes” or “no” to having ever been convicted of a crime. Ban the Box laws differ across jurisdictions. In some instances the employer has to delay conducting the background check until a first in-person interview, and in others the trigger point is the contingent job offer. Also, the laws across the country vary significantly regarding which employers must comply. In some jurisdictions, only public employees are addressed and in others both public and private employers must adhere. The size of a private business may also be a factor determining the applicability of a law. The New York City ordinance is fairly broad in applying to private employers with as few as four employees, and it mandates a delay in the criminal background check until the employer is prepared to offer a job. However, it is still possible for the employer to deny an applicant a job based on the background check if the employer demonstrates in its analysis that adverse action is job-related and a business necessity. In order to take adverse action, the employer has to comply with notification requirements to the applicant and give the applicant sufficient time to respond to potential adverse action reasoning. During this period, which is not less than three business days, the employer is required to keep the job open for the applicant. Jumaane Williams, the NYC bill’s lead sponsor, says that the ordinance does triple duty as a jobs bill, a criminal justice bill, and a public safety bill. This rationale is common across the country: the argument in favor of Ban the Box rests on the idea that getting ex-offenders back into the workforce is good for the individual and good for society because that individual can become a law-abiding, productive member of the community. The bottom line is that employers continue to have the right and the ability to use criminal background checks as one part of research on applicants, and that these checks can be used in taking adverse action. However, as always, it remains critical to conform to the employment process outlined in the Fair Credit Reporting Act, which includes active communication with the applicant and the two-step adverse action procedure. And, the EEOC mandates to make sure the application of criminal history is “job-related and a business necessity”. Following these guidelines will help ensure you comply with all applicable laws and still hire a workforce that can support company goals.